Need a little design inspiration? 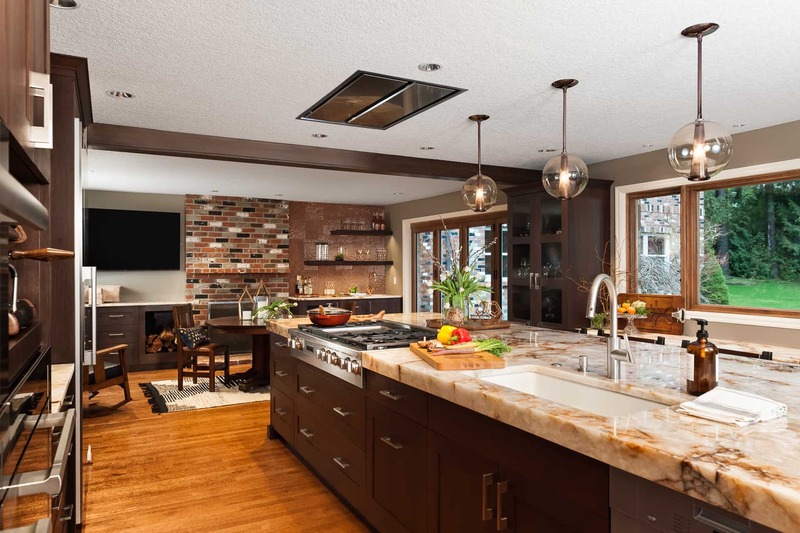 Each month Neil Kelly hosts workshops that provide an introduction to remodeling specific areas in the home, design styles and trends with the latest materials, fixtures and appliances, before and after case studies and a Q&A with design experts and partners. Reed hosted her first workshop — that featured a display of a 1950s kitchen at the Oregon Historical Society — 25 years ago. She says the informal but educational classes are especially popular with new homeowners. 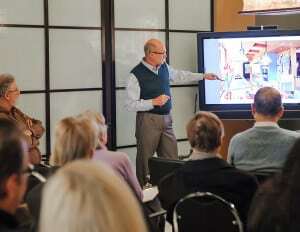 The most popular workshops include kitchen and bathroom remodels, and aging in place seminars. In the classes attendees discover the elements of design, view before and after photos and floor plans, learn how to personalize their space, and speak directly with Neil Kelly partner vendors like Kohler. The workshops also offer an introduction to the Neil Kelly design/build remodeling process, and demonstrate value of hiring a team of experienced professionals to do a major construction project. Don’t miss the 2018 Resolve To Remodel workshop series on January 27 and February 3. For two consecutive Saturdays Neil Kelly will offer a complete program of workshops designed to jump start your next remodeling project, from re-imagining your home to simply making it more stylish, comfortable and efficient. Ready to bring your dream kitchen to life? Let’s get cooking! Join us for a day of remodeling inspiration, ideas and advice. Meet home design and product experts, and discover how personalized design, elegant materials and great craftsmanship can transform your home. Plus enjoy gourmet fare, Northwest wines and more! Ready to create your own personal oasis? Let’s dive in! Join us for a day of remodeling inspiration, ideas and advice. Meet home design and product experts, and discover how personalized design, elegant materials and great craftsmanship can transform your home. Plus enjoy gourmet fare, Northwest wines and more! The complete schedule, including details and registration for all series workshop dates and locations, is available at neilkelly.com/events. ← Design Trends: What’s New and Bold in 2018?